Pictures that speak a thousand words, amplify beauty and transport you to another time and place. 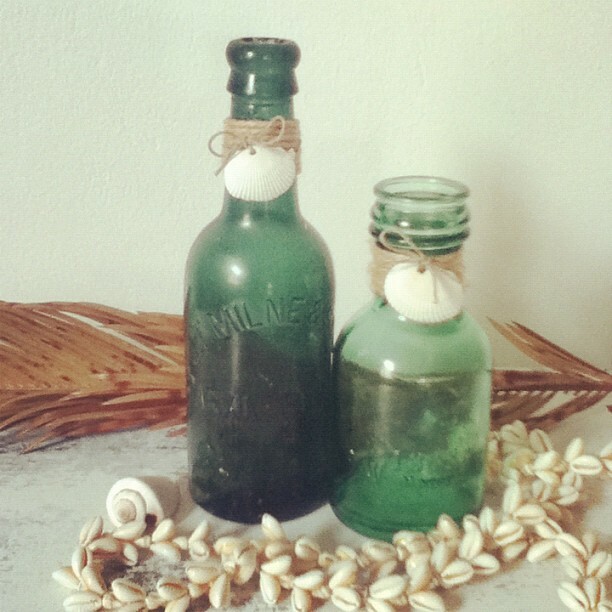 I adore the sense of memory, love and history found through simple vintage-styling. Do you have a favorite vintage piece that reminds you of another moment in time? A beautiful vintage pot jammed packed full of lavender. 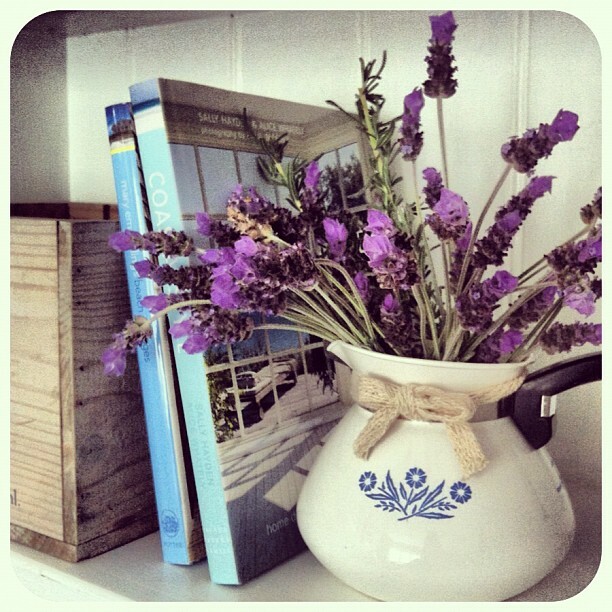 There is something so stylish about lavender in a vase; it can transform a room particularly it's smell ;-). 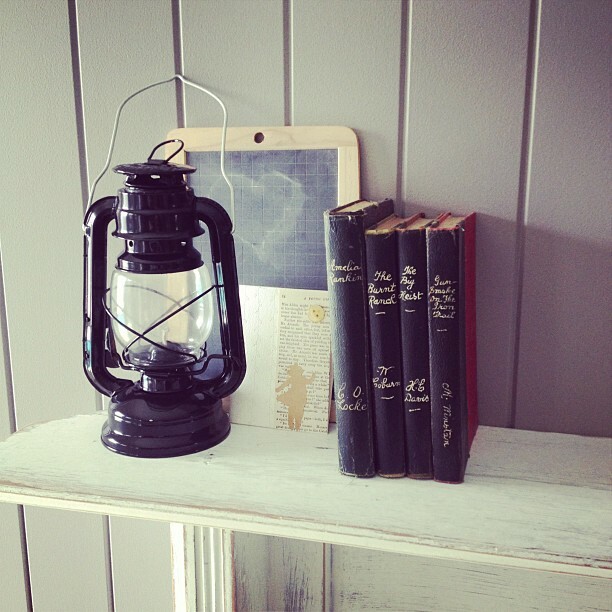 Photography and styling by Jo from Coastal Home Love. Follow on Instagram @ coastalhomelove. This blue daisy-trio design actually brings back sweet memories from my child hood; I remember my mum had this exact design on a casserole dish... aw bless her! Eyes of God, Photography and styling by Mia. Follow on Instagram @ Mrsmiagoding. 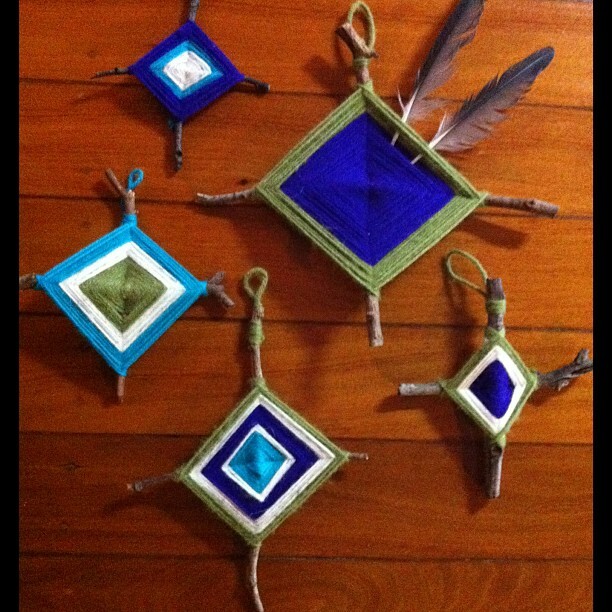 Do you heart native American crafts? Love this gorgeous wall-vignette, especially the sweet feathered one! Also such a sweet coastal pallet of blues, green and white. So simple and inexpensive to do! 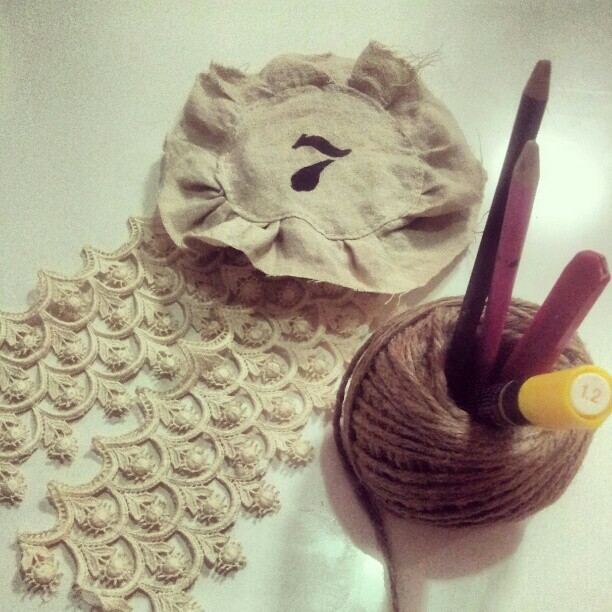 Vintage lace rosette made from the lace of my mother's wedding dress. Yes, it is a tad Sibella Court inspired, I am quite the fan. The number 7 is also a very lucky number for our family. Styling and photography by Rach. You can follow me on Instagram @ hipbrown. Such talented lovelies, thanks to all for taking part! Do you too have a Make do and style snap to share? Than please tag #makedoandstyle on Instagram or Twitter, feel free to share @ hipbrown. Popping over to Chic on a Shoestring for Flaunt it Friday. Let me brighten your day? DIY Vertical Garden For Under $30! How to make a sweet home! That's a wrap on #7vignettes! Make do and style: With your home finds!